The Perks of Involving Employees in Your Social Media Marketing. It’s no secret that social media marketing is a great strategy that is essential to add to your existing marketing plan. Most people are on one, if not more, social media sites and you don’t want your business to be left behind. 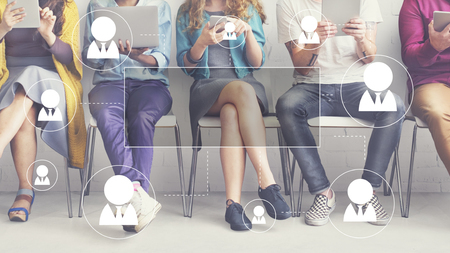 Not only do you need someone dedicated to updating your posts and engaging with potential customers on social media sites, you should be involving employees in your marketing plan through their personal social media pages. Employees that truly believe in your company are invaluable. Those that enjoy working for you and believe in the business can do wonders for your reputation, and therefore, your future revenue. Why You Should Be Involving Employees in Your Social Media Marketing. By getting your employees to post about the company they work for, it will expand your network significantly. Think of each staff member as a link in a chain. All of their connections, even those they don’t engage with on a regular basis, can become YOUR connections. Exposure through their personal accounts allows followers to learn more about your company. Genuinely enjoying your job is a gift. When your employees enjoy what they do on the job and put that out into the world, it will boost the credibility for your company. Your staff can help illustrate how great your company culture is when they post interesting information on their personal social media pages. Make sure all company leadership is on board. It’s important that all owners and managers sign off on the idea of involving employees before putting it in place. The reasoning for including everyone in social media marketing efforts should be thoroughly discussed. Specific and well-written guidelines need to be put in place for employees to abide by. These rules and restrictions should include what is acceptable to post about, such as new products or company milestones, as well as a list of items to never post in order to avoid painting your business in a bad light. Reserve ample time to properly train all employees on the established guidelines so they fully understand what is appropriate to post. Everyone should be on the same page on how you want the company represented. Also, pre-set specific days/hours in which is it appropriate for people to post. Don’t make participation mandatory for all employees. It’s not a reflection of how a certain employee views your company, but simply that not all of them are personally active or interested in social media. You only want the ones who are genuinely interested to be involved in your social media strategy. Those that see it as extra work or don’t want to do this won’t be helpful and could end up resenting the company. Give your staff a hand by sharing information on things they can post about. You can even include graphics or pictures that they can use, specifying exactly how you would like it to appear on your social channels. Over time, this feedback will become less and less necessary, as your staff will become more familiar with the management’s posting preferences. By opening up your social media marketing strategy to all employees, there is endless potential to the reach of your company’s brand. Simply by involving them through their personal platforms, you instantly multiply the number of eyes that can see what you have to offer. Your most valuable resources are your employees, so consider opening up this opportunity to them and let them contribute to your increasing success! Wish to receive additional information and insights from social media expert Batya Maman? Sign up for the Social Connect Newsletter!